Medicinal herbs are one of the largest growth areas for health product retailers. But some of them may be grown on contaminated soils, as Paul Smith explains. While Soil & Health readers, and much of the general public, know that conventionally grown fruit and vegetables contain varying levels of pesticide residues, we are less used to evaluating medicinal herbs in the same critical manner. When it comes to natural medicines, people assume they are pure, untainted and inherently good for them. Susan Snellgrove, grows organic echinacea in Golden Bay, and even she was shocked to discover medicinal herbs may contain spray residues. She believes it is unethical for medicinal herbs to be grown with sprays and says it is a contradiction in terms. Many people take echinacea, she says, to build up their immune system because it becomes so run down through poisonous chemicals, but they unwittingly imbibe more poisons (albeit at small doses) in the process. Of particular concern is the prospect of DDT residues in echinacea. Echinacea is now being grown on ex-tobacco land in Motueka and, as Ms Snellgrove points out, it is common knowledge that tobacco growers used DDT. This is confirmed by Peter Fry, a tobacco grower who has had to diversify following the virtual closing down of the tobacco growing industry in Motueka over the last few years. He now grows kiwifruit and has five acres of echinacea. He says he hasn’t used DDT for at least 15 years; even so recent tests show traces of DDT in his soil. This led him to seek an alternative plot of land to grow medicinal angelica after the Japanese buyer became concerned at the level of DDT in his soil, only to find this piece of land has unacceptable levels of DDT as well. He believes you’ll find DDT almost anywhere. Another ex-tobacco grower near Motueka, Ross Prestidge, uses a modified tobacco kiln to dry conventional and organic medicinal herbs (he must follow BIO-GRO guidelines for drying organic herb, including thoroughly cleaning out his kiln). He also mills dried herb and grows a variety of berries and seed crops. He stopped using DDT 20 years ago and says they used to spray tobacco with an emulsion for cut worm, but the amounts used on pasture land in the 1940s and 50s were “hundreds of times higher”. Prestidge also points out that DDT residue is more of an issue for root crops (echinacea tops and roots are harvested) as it is difficult to remove every speck of dirt and it is the soil which contains the residue. The day I phoned Nelson-based BIO-GRO inspector, Seager Mason, he had seen a soil test from ex-tobacco land which was well below BIO-GRO’s maximum level of 0.2 parts per million. He says that while DDT is relatively immobile it can move with water and degrades when the soil is cultivated or when there is a high biological activity. He agrees with Mr Prestidge saying DDT “got thrown on [pasture land] with superphosphate for years”, but adds that some tobacco land has shown “very high levels” and doesn’t doubt that some echinacea grown on such land has been sold and processed. Certified organic properties must be tested for DDT, but this is not the case for growers using conventional methods. Other pesticide residues in medicinal herbs are also a concern. Large-scale growers commonly use herbicide to control weeds, though several growers of echinacea say not much is required. Mark Lewis of Sunfirst herbs in Gisborne says he only uses “a bit of herbicide at the start” and has tested the finished product and “no residues showed up”. But every herb is different and not all are as hardy as echinacea. Herbs grown in humid areas are particularly susceptible to fungal infection and growers may resort to using fungicides as well as herbicides. Neither do all farmers test for spray residues so there is no guarantee, apart from certified organic product, that medicinal herbs are free from spray residues. The marketing manager of New Zealand Pharmaceuticals, Richard Finch, says spray residue is a big issue in the medicinal herb industry and some of their customers stipulate maximum levels which must be adhered to. New Zealand Pharmaceuticals turns medicinal herbs into tincture, or powder for tablets, and is one of the larger processors in New Zealand. The company mainly process echinacea and most of that comes from certified organic growers, though they also purchase spray free and conventionally grown echinacea. Tests for spray residues are done if requested by a buyer, however Mr Finch suggests growers arrange to have their herbs tested for residues themselves. He is able to make this bold stand primarily because there is a colossal oversupply of echinacea on the New Zealand and world market and so buyers like New Zealand Pharmaceuticals can dictate the terms of trade. But I shouldn’t be so harsh – his company buys primarily from organic growers to avoid spray residues, and Mr Finch says he tries to support the small growers where he can (and most organic operations are quite small). Alan Cook is the founder of Herb Pharm, a Nelson-based processor of medicinal herbs. Herb Pharm doesn’t test for spray residues, but he says overseas buyers of their processed medicinal herbs do and would reject the produce if it didn’t meet their standards. One could also ask why they would bother testing if it wasn’t a problem. Mr Cook assures me, however, that they “certainly haven’t bought anything off tobacco land” and that DDT contamination is a concern. 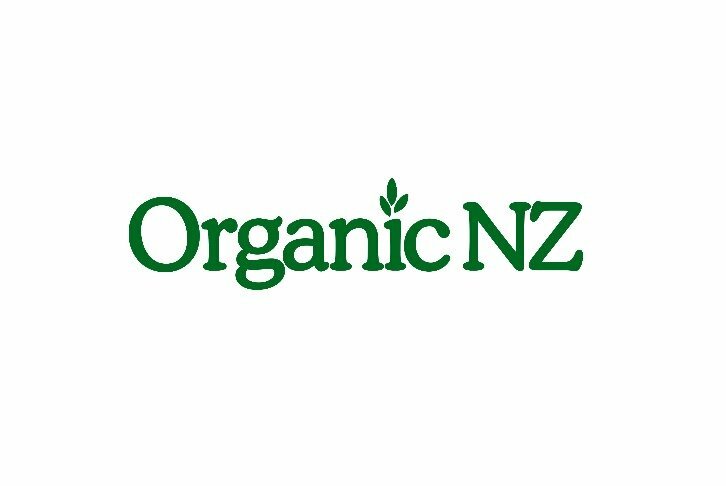 Herb Pharm’s main suppliers are in the North Island and many of them are certified organic or using organic methods. Thompson’s buy most of their herb from an Italian company who test the processed herbal extract for heavy metals and pesticides. Product manager Adam Baker says the safety of their products is very important and Thompson’s “guarantee there are no contaminants present”. The herbs sourced from Italy are not grown organically, however Baker suggests unwanted residues are either not in the plant in the first place or removed from the herb during the processing: “By the time we see it in capsules there are no contaminants left”. But pesticide residue is only one issue. The discerning buyer will also be interested in how the herb is grown and the possible negative effects pesticides can have on the environment and, further down the track, on the health of the people who live near where the herbs are grown. The best – some would say only – guarantee of avoiding either residues or supporting the use of pesticides, is to buy organic. Organic medicinal herbs are available from health shops in tincture and loose leaf form, and some companies have a limited range of organic tablets on sale. It looks like we all need to ask our local health store to stock organic brands. Ultimately it is consumer demand that is going to force the medicinal herb industry to supply organic product.